Itâ€™s not always easy to keep your dog safe in the winter months, no matter how important he is to you. For many pet owners, the most difficult task is ensuring their petâ€™s health while still keeping them happy, because the coldest months bring dangerous chemicals, severely dry skin, and the potential for hypothermia or frostbite. The good news is, there are plenty of ways to keep your dog healthy and safe and still allow him to have fun outdoors. The first step is to plan well and know the risks that come with the coldest months. 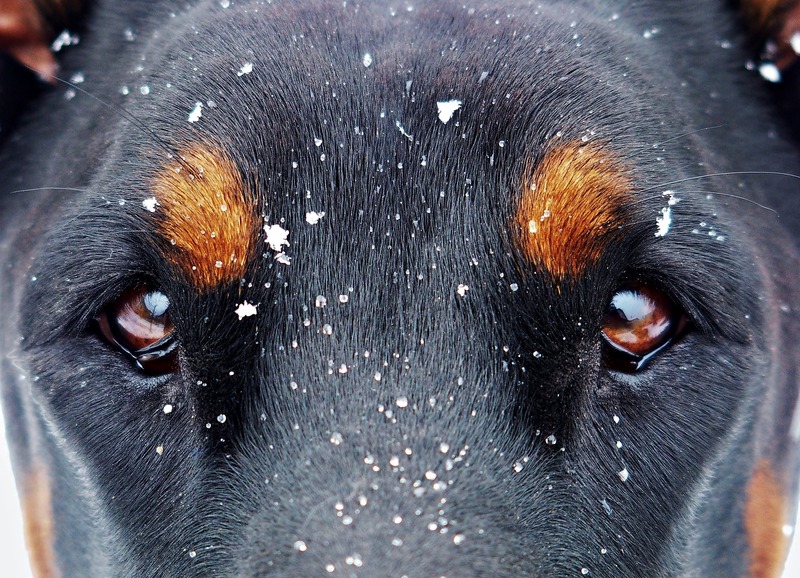 Here are some of the best tips for getting through the winter with a happy pup. Severe cold can lead to very dry skin, which is not only irritating, but can cause major problems if your dog canâ€™t stop scratching. Brush his coat every day and, if you notice that heâ€™s itchy, consult your vet about adding a fatty acid supplement to his diet to help ease the dryness. Itâ€™s also a good idea to keep a humidifier running in your home. Your pet walks through all sorts of things outside, and in the wintertime that can include poisons such as antifreeze, de-icer, and salt. After going for a walk, be sure to clean your dogâ€™s paws off with a warm washcloth or pet wipe. After a big snow, youâ€™ll need to be extra careful about taking walks with your dog. Avoid icy areas and stick to shoveled walks or trails in the park. Slipping on an icy patch can lead to broken hips or wounded paws. Be sure to use plastic food and water bowls outdoors to avoid freezing, and check the water often to make sure itâ€™s fresh. Your pet uses lots of energy during cold months to stay warm, so make sure heâ€™s eating enough. Pack his diet with protein and add a bit more to the portions to give him an extra boost. Too much time outdoors can lead to frostbite or hypothermia, no matter how thick your dogâ€™s coat is. Be sure to limit how long he stays outside and give him plenty of breaks indoors so he can get warm and give the sensitive pads on his paws a rest. Making small changes around your home–such as moving space heaters to a spot where they canâ€™t easily be knocked over by your pet–can make a huge difference when it comes to safety. Think about your dogâ€™s bed placement as well, and move it to a warm spot if heâ€™s agreeable.